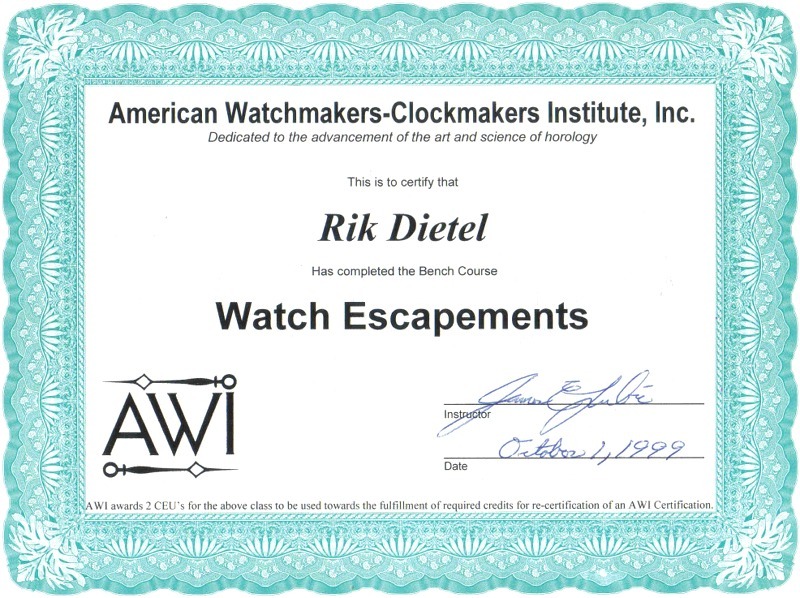 My Name is Rik E. Dietel. 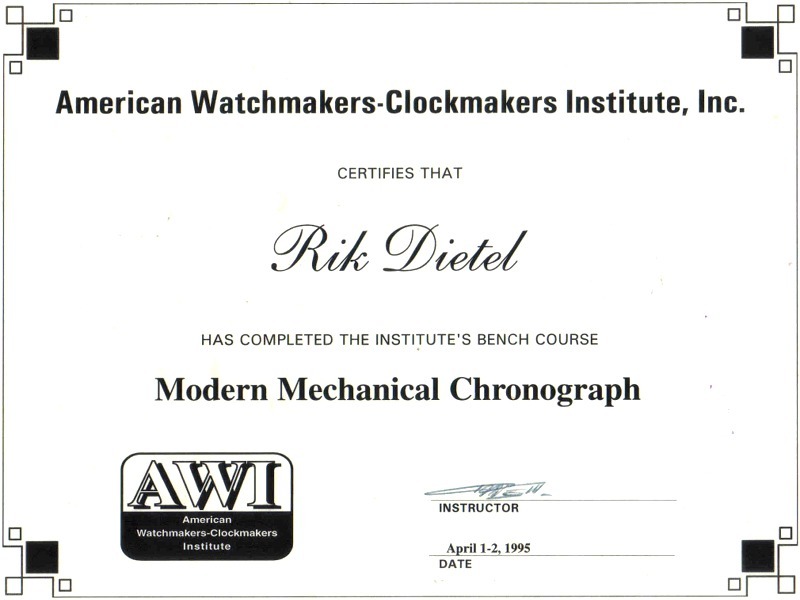 I	Have	been	a watchmaker since 1980. 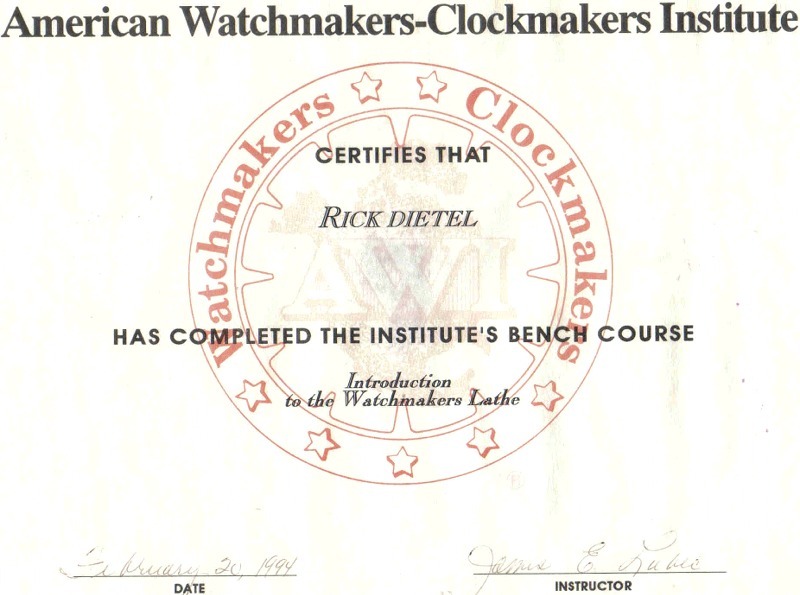 I have trained with people like Henry B Fried and others of his renown. 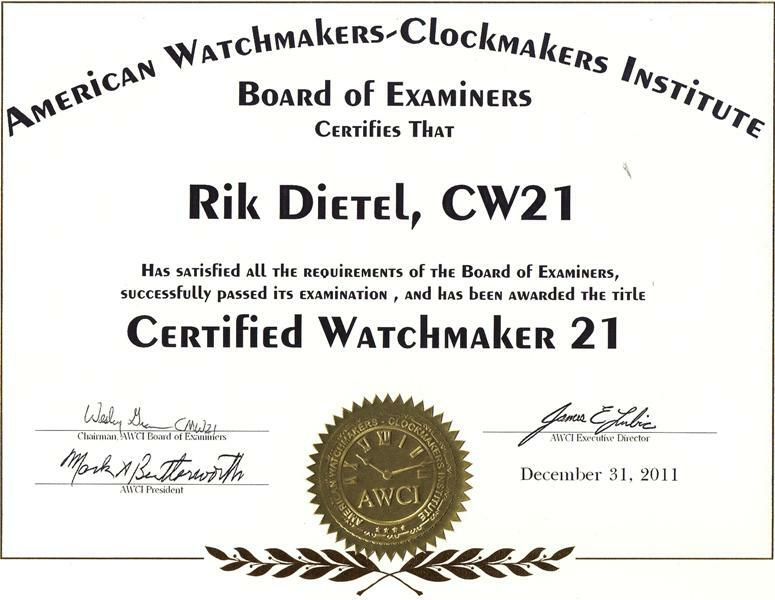 I am past President of the Suncoast Guild Watchmakers and past President of The Florida State Watchmakers Association. 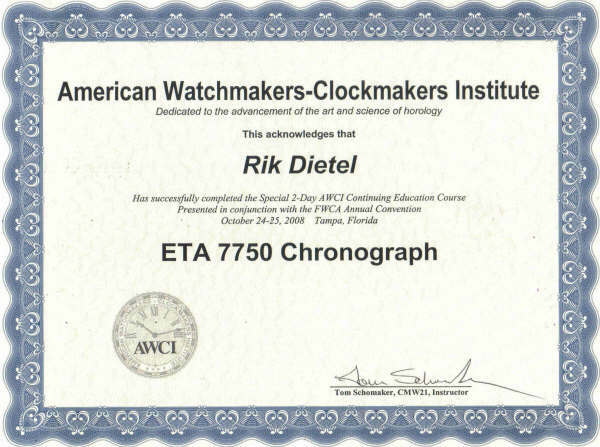 I am a member of the American Watch and Clock Institute and The Chronometer Club for the advancement of education of high end watch repair. 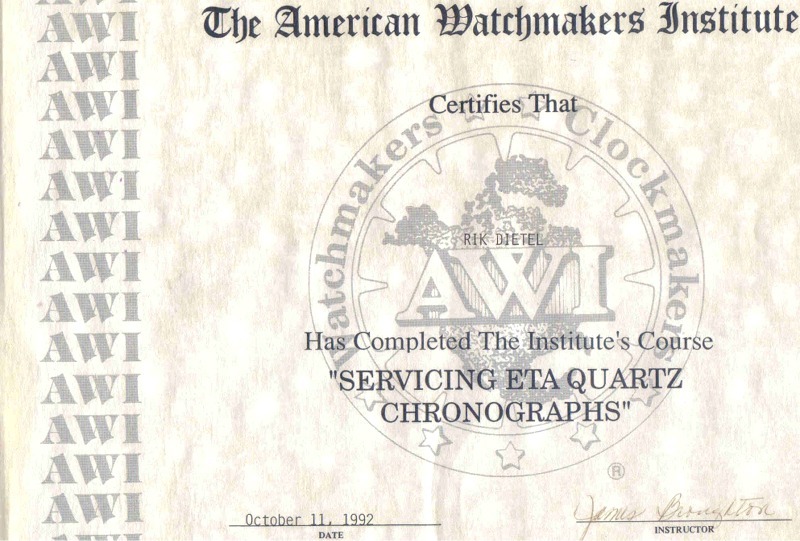 During this time period I received 9 certificates from The American Watch and Clock Institute and have had 10 apprentices of my own. 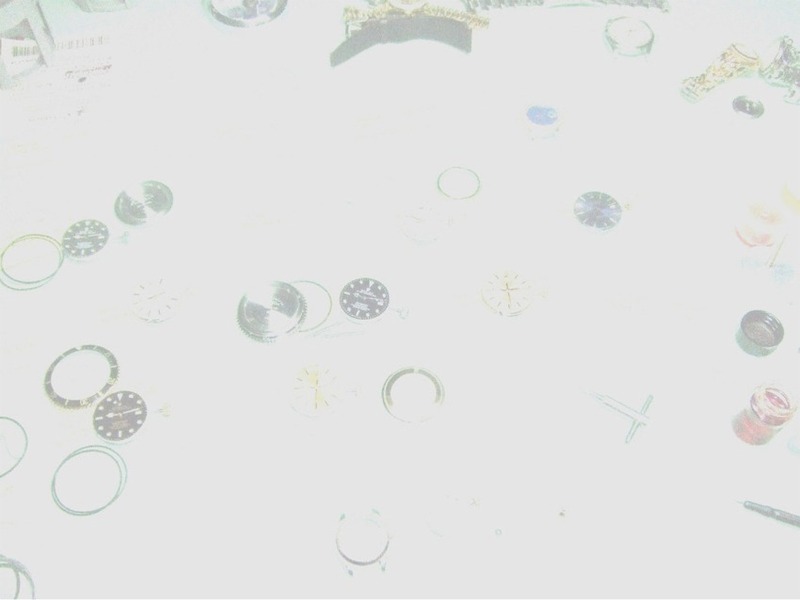 I currently have 17 jewelery store accounts and over 18,000 loyal customers. 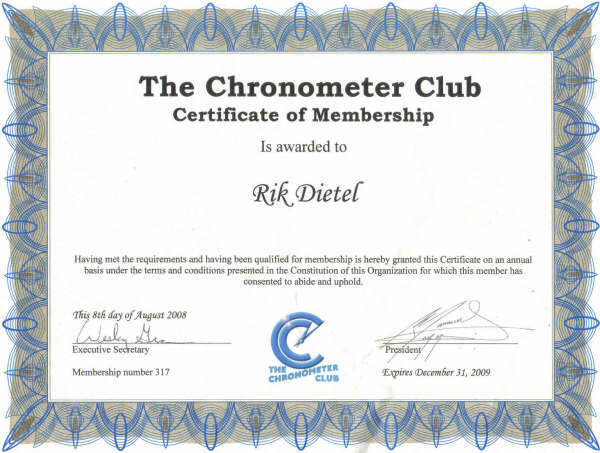 My business is mostly referrals now. 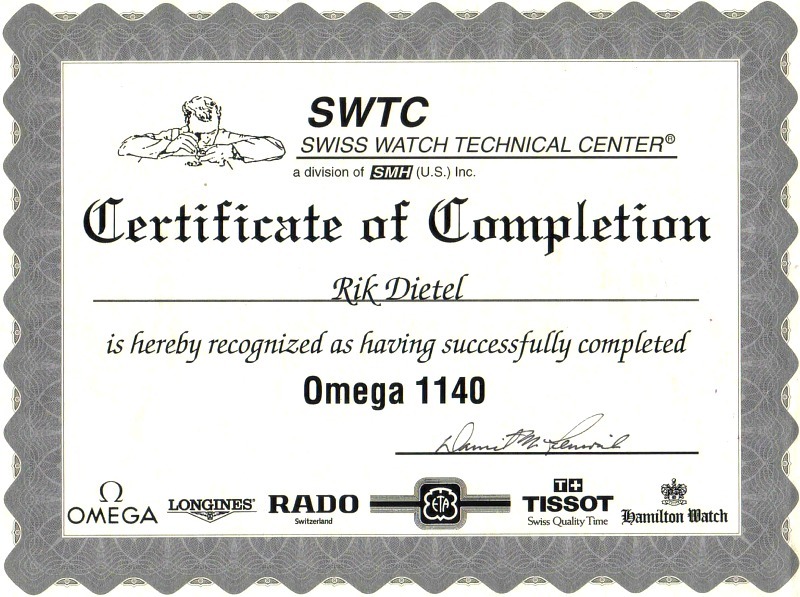 I have parts accounts For Rolex U.S.A., the Swatch Group including Omega, Rado, Hamilton, Certina as well as Patek Philippe, Tag Heuer and soon Cartier and Panerai, as well as many others too numerous to list. 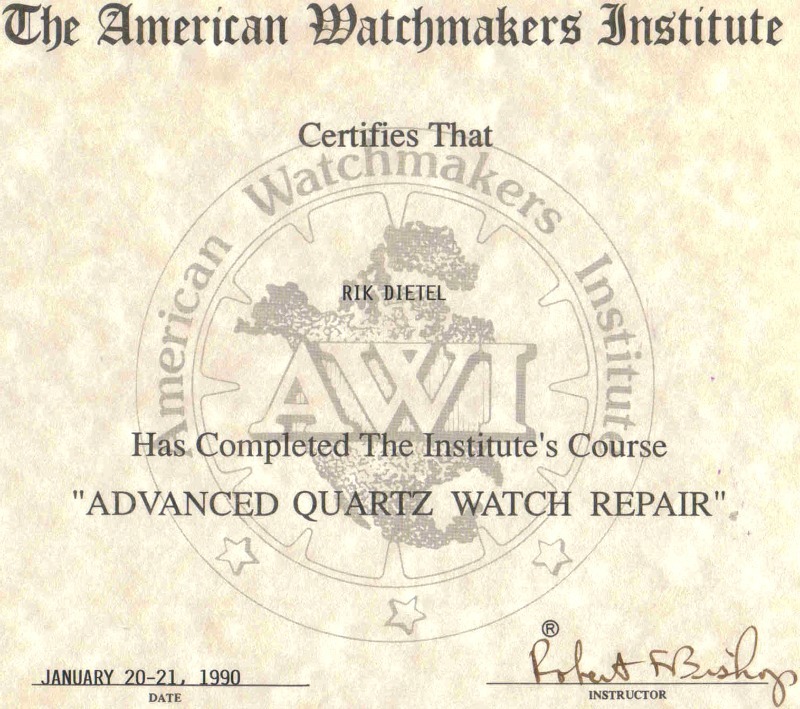 All watches are repaired with factory parts - no exceptions - to factory specifications. 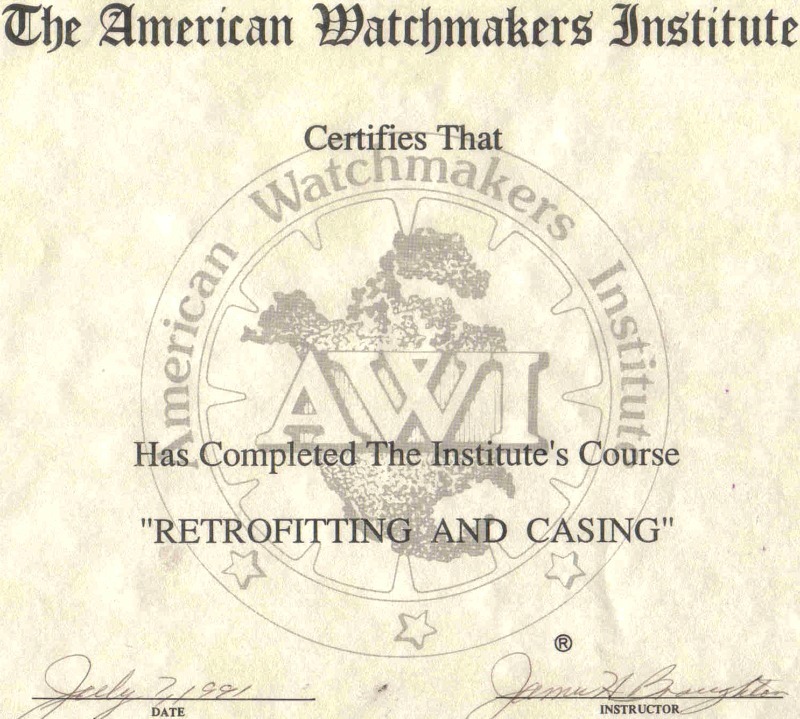 I look forward to serving your watch repair needs. 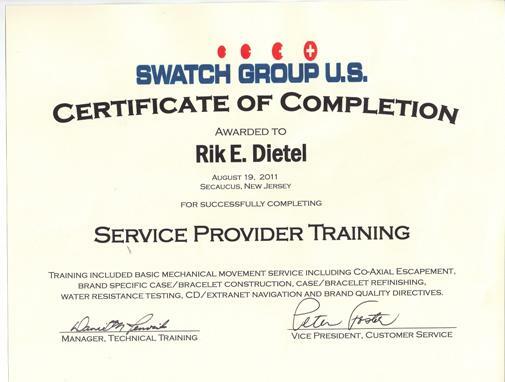 Feel free to click on the pictures below to see details of diplomas and certificates.